Situated in the heart of eastern Oregon’s high desert, McEwen Ranch and Cattle Company is a well-managed, profitable legacy ranch that represents one of the largest deeded properties available in the West today. The JMK Ranch unit of McEwen Ranch and Cattle is available for purchase separately for $3,900,000. Please contact Broker or visit Hall and Hall’s website for more information. With roots in the Miller-Lux cattle empire of the 19th century, this expansive cattle and hay operation is located in the Malheur River basin of eastern Oregon near the small ranching community of Crane, an hour southeast of Burns, Oregon. The ranch encompasses 52,445± deeded acres and nearly 100,000 acres of Bureau of Land Management (BLM) land under grazing permit to the ranch. With an emphasis on premium beef production, the ranch currently runs 1,525± breeding cows plus bulls and produces excess hay on 1,500± acres, including 1,125± acres under nine center pivots. Abundant water features and improvements include reservoirs, year-round creeks and streams, irrigation and stock-water wells, springs, ponds, playas, and range developments. The ranch is modestly but practically improved with employee housing, equipment storage, barns, shop buildings, and cattle facilities including a 750-head permitted backgrounding lot. The ranch is home to an array of western wildlife and the owner is eligible to receive up to eight landowner preference tags to hunt elk and deer on the ranch. There are also strong populations of chukar and California quail, and the reservoirs offer excellent largemouth bass fishing. 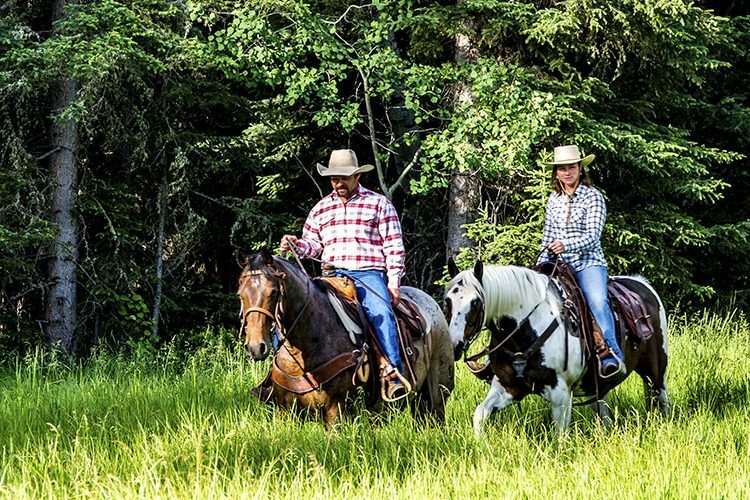 Hall and Hall’s management division has provided professional oversight of the ranch since 2008 and is available to work on behalf of a new owner to manage the ranch under a long-term arrangement or as part of a transition strategy. The 2,230± acre JMK Ranch unit of McEwen Ranch and Cattle Company, located 10 minutes north of Crane and consisting of 1,125± irrigated acres under nine center pivots, is available for purchase separately for $3,900,000. Please contact the Broker for more details on this separate offering. This offering includes one-half of all minerals and mineral and royalty rights owned by the Seller in the property. Among the largest operating ranches in Oregon, McEwen Ranch and Cattle Company encompasses 52,445± deeded acres in two principal units – the 2,230± acre JMK Ranch (the “JMK”) and 50,215± acres that are home to the ranch’s headquarters and adjoin approximately 100,000 acres of BLM grazing allotments under permit to the ranch (the “McEwen”). Here is a description of each unit:The JMKLocated 10 minutes north of Crane, 30 minutes southeast of Burns, and 35 miles west of the McEwen, the JMK is a contiguous, level tract of land consisting of 1,125± acres of pivot irrigated cropland, 1,085± acres of dryland pasture, and 20± acres encompassing buildings and ranch improvements. The elevation at the JMK is approximately 4,200 feet. In addition to supplying hay to the McEwen, the JMK generates excess hay to sell and serves as a location to winter the ranch’s bulls, receive cattle, and hold remnant calves. Since 2008, the owner has invested approximately $700,000 into further developing the property’s abundant groundwater resources and expanding and upgrading the ranch’s center pivot irrigation system. At present, there are eight Valley pivots (with three being newer – 2008, 2010, and 2011) and one Zimmatic pivot installed in 2015. Six pivots are planted to alfalfa and three are transitioning to alfalfa. 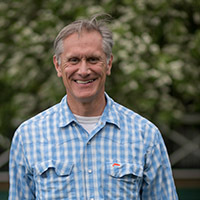 The ranch produced organic hay until two years ago and is now being fertilized and working toward three cuttings with yields of four to five tons per acre. Ample irrigation water is available and originates from eight productive wells on the property that are interconnected by a buried mainline system. Wells pump between 500-800 gallons per minute and depths are in the 300’ to 600’ range. All pumps and motors have been pulled, inspected, and maintained over the past five years.Buildings and infrastructure include a manufactured home, shop building, nine-bay open-sided machine shed, general purpose building, horse barn, and a permitted 750-head backgrounding lot with concrete bunks and metal panels attached to metal posts. In addition, there is a cattle-working facility, loading chute, hydraulic squeeze chute, and an enclosed 20,000 lb. beam scale. Cattle pens are watered with automatic frost-free troughs. Stock water is also available to each of the pivot fields through an interconnected system installed in 2015. The system consists of tire tanks with floats and is capable of providing water throughout the winter. The McEwenThe McEwen lies about 30 miles east of Crane and a little over an hour southeast of Burns and is comprised of multiple parcels of deeded land surrounded by BLM grazing allotments under permit to the ranch. The elevation at the McEwen ranges from 3,900 feet along the South Fork of the Malheur River to nearly 5,300 feet in interior of the ranch. Stretching across a vast, dramatic high desert landscape, the McEwen extends for almost 25 miles north to south and over 15 miles east to west and encompasses irrigated hayfields and pastures, rocky canyons, grassy mesas, rugged buttes, steep ridgelines, broad valleys, meandering riparian areas, and pockets of aspen and juniper. An extensive network of public and private roads crosses the McEwen providing access to virtually all portions of the property. There are numerous water features at the McEwen including three irrigation storage reservoirs (Cobb, Chapman, and Star Mountain reservoirs), four primary year-round streams (South Fork of the Malheur, Visher Creek, Granite Creek, and Swamp Creek), springs, seasonal creeks, playas, and numerous stock ponds and dugouts. In addition, there are two major stock water developments installed within the past several years involving wells with cistern storage and associated pipelines and tire tanks. The ranch headquarters (referred to as the “Visher”) sits along Riverside Road and encompasses the main set of ranch buildings plus approximately 200 acres of sprinkler and flood-irrigated cropland. Improvements at the Visher include a manager’s home, bunkhouse, Quonset-style machine shed, equipment shed, working corrals with hydraulic squeeze chute, steel-sided calving barn, two mobile homes, and multiple smaller outbuildings. Cobb Reservoir is located just south of the headquarters and stores irrigation water for hayfields at the Visher. It is filled by springs as well as water diverted from Visher Creek and is home to largemouth bass and crappie along with various species of diving and dabbling ducks. The South Fork of the Malheur River flows along the northern boundary of the Visher for over a half-mile and provides additional irrigation water at the Visher. The riffles and pools of the South Fork offer fishing for bass and the occasional redband/rainbow trout. Visher Creek, a spring-fed stream that rises on the ranch’s deeded lands southeast of the headquarters, is the other main source of irrigation water for the Visher. Another 200± acres of irrigated cropland and two sets of additional ranch buildings lie northeast of the headquarters in a portion of the ranch known as Granite Creek. Buildings here include a modular home with a steel-sided storage shed, cattle pens with stock water, an older frame home, a mobile home, and a shop/equipment storage building. Chapman Reservoir, which stores irrigation water for the ranch, lies within its own secluded canyon surrounded by BLM lands north of the buildings and is fed by year-round Granite Creek. Although the reservoir is located on federal land, the only vehicular access to the reservoir is across the ranch, making the site very private. Largemouth bass and crappie can be found in Chapman Reservoir, and the canyon walls flanking the east side of the reservoir are an excellent spot for coveys of chukar partridge. Swamp Creek, a very scenic part of the ranch lying south of the headquarters, is another core area of the McEwen and features approximately 100 acres of native meadow that are flood-irrigated, pastured, and hayed depending on annual moisture conditions. Year-round Swamp Creek flows through its own valley for over five miles on its way to the South Fork of the Malheur. Buildings at Swamp Creek include a two-bedroom hunting cabin and adjacent storage sheds. The ranch headquarters for McEwen Ranch and Cattle Company is located on Riverside Road in Harney and Malheur counties approximately 30 miles east of Crane and 55 miles southeast of Burns. Riverside Road is a well-maintained, all-season gravel county road that services ranches along the South Fork of the Malheur River and connects Crane with US Highway 20 at Juntura, Oregon, an hour north of the headquarters. A separate 2,230± acre tract, referred to as the JMK Ranch and encompassing the ranch’s pivot irrigated cropland, is located in Harney County about 40 minutes northwest of the ranch headquarters and 10 minutes northwest of Crane on an all-season gravel county road. Burns, Oregon, county seat for Harney County, is the service center for the area and offers a variety of retail and commercial services that support the regional ranching community as well as a general aviation airport with a 5,011’ x 75’ runway and 24-hour Jet-A and 100LL fuel service. 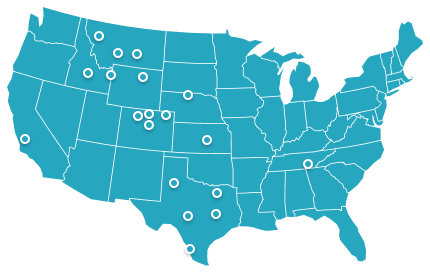 The closest commercial airports are located in the cities of Boise, Idaho and Bend, Oregon, each about three hours from the ranch. The city of Portland is approximately 335 miles west of the ranch. Occupying nearly 10,200 square miles of rimrock, river canyons, grassy plains and ponderosa pine forests, Harney County is the largest county in Oregon and encompasses much of the state’s southeastern corner. Despite its physical size, the county is home to only 7,500 residents who are spread across the county’s many farms and ranches, various unincorporated communities, and the small sister cities of Burns and Hines. Reflective of the sparse population density is the fact that Harney County operates one of the few public boarding schools in the United States located in Crane. Students, most of whom live on remote ranches in the southern part of the county, reside in dorms during the school week and return home to their families for the weekend. Steens Mountain, rising over a mile above the Alvord Desert and viewable from the ranch, is the county’s most prominent physical feature and one of the wildest and most remote areas in Oregon. Adjacent to Steens Mountain is the 187,000-acre Malheur National Wildlife Refuge, a vast wetland complex famous for its concentration of bird species and other wildlife. The refuge hosts thousands of birdwatchers each year who come to view resident and migrating shorebirds, songbirds, waterfowl and raptors. Livestock ranching continues to be a mainstay of the local economy, and Harney County is home to a number of large ranches that have been operated under the same ownership for decades. Traditionally, ranches have stayed within families passing from generation to generation or have been sold to neighbors looking to expand their operations. In recent years, buyers from out of the area have come to the county looking for large deeded holdings offering productive livestock operations along with quality recreational and lifestyle amenities. The climate in the Crane area is best described as semi-arid with total annual precipitation of eight to ten inches. This part of eastern Oregon generally enjoys four seasons with open winters in the valley bottoms and heavy snowfall in the higher elevations. The average daytime high from December through February (the coldest months of the year) is 40 degrees. The average winter low is about 20 degrees. Summers are warm with temperatures consistently reaching the upper 80s and low 90s during July and August and cooling to the low 50s at night. It is estimated that associated BLM grazing allotments cover an adjoining area of nearly 100,000 acres. The inventory of irrigation, stock water, and storage water rights held by McEwen Ranch and Cattle Company is extensive and includes multiple certificates as well as several active permits and transfers. A complete tabulation of associated water rights is available from Hall and Hall or the website of the Oregon Water Resources Department (www.oregon.gov/OWRD). Annual property taxes are approximately $18,715. 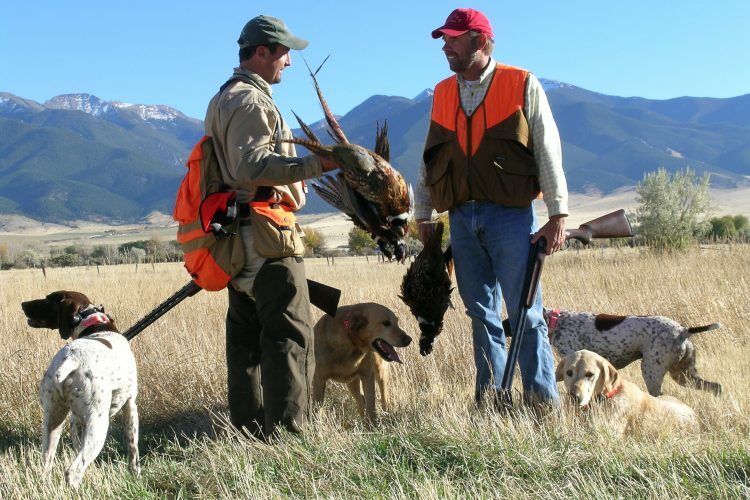 Diverse habitat and expansive and varied terrain support a rich natural environment that is home to abundant elk, deer and antelope along with chukar partridge, California quail and the occasional pheasant. 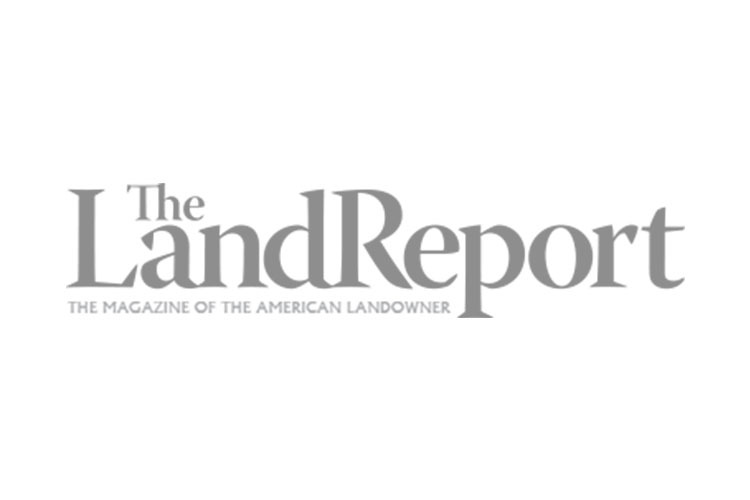 Unlike many other western states, the state of Oregon offers a favorable landowner preference program. In the case of McEwen Ranch and Cattle Company, the landowner could potentially qualify for up to eight elk tags and eight deer tags (and a portion of these are transferable to non-family members). The ranch is in Hunt Unit 66 (Malheur River). Contact the Oregon Department of Fish and Wildlife for more information on this program at www.dfw.state.or.us. Warmwater fishing for largemouth bass and crappie can be found in Cobb and Chapman reservoirs and in the South Fork of the Malheur River. Waterfowl utilize the ranch’s reservoirs, impoundments, and stock ponds throughout the year. McEwen Ranch and Cattle Company is a well-managed, highly productive year-round cow/calf operation focused on premium beef production. Under current ownership, the ranch rates at 1,625± animal units made up of 1,525± breeding cows and 100± bulls and offers significant management flexibility because of its overall size and configuration. McEwen calves are vigorous, hearty and well-suited to thrive in eastern Oregon’s high desert environment. The owner has been committed to developing high quality genetics, and as part of this program the ranch purchases quality bred heifers to supplement breeding stock rather than holding over replacement heifers. The ranch purchases registered Black Angus bulls focusing on growth and carcass characteristics. As a result, weaning weights continue to increase and calves perform well in the feedlot and grade well on the rail. Calves are verified natural, non-hormone treated (NHTC) and global animal partnership (GAP) certified. The McEwen cattle herd is available for purchase, and by acquiring the herd one could take advantage of the current owner’s strong commitment to breeding and developing high-quality cattle. Depending on weather patterns and fall feed conditions, the ranch begins feeding cattle in early December. Bulls winter at the JMK Ranch, while cows typically winter at the McEwen in two to three separate groups and are fed an average of one and a half tons of hay per head. Calving generally begins in February, and feeding continues until all cows and calves are turned out onto grass by April 1st of the following spring. In a typical year, 1,000 to 1,100 tons of mostly alfalfa hay are harvested at the McEwen Ranch from approximately 400 acres (300± acres under wheel line with the balance flood irrigated by ditch and gated pipe). There are multiple water right certificates from various sources, including South Fork Malheur River, Visher Creek, Cobb Creek, Granite Creek, Hickey Creek, and Swamp Creek. The balance of the ranch’s hay requirements come from the JMK Ranch, where 1,125± acres are irrigated by nine center pivots utilizing water from eight irrigation wells. The McEwen is divided into approximately 15 large pastures that combine both deeded and federal lands. Cattle utilize and rotate through these pastures from spring through fall. Once cattle come off the federal lands at the end of October, interim fall grazing is available on deeded pastures and aftermath hay fields. Under current management, calves wean in bunches from October through December and are hauled to a feedlot in Brogan, Oregon where they are “warmed up” to shipping weight. Weaning weights in 2015 were in the mid-500s for steers and low 500s for heifers. It should be noted that the ranch reduced its 2015 cattle numbers due to impacts from the Buzzard Complex wildfire in fall 2014 and is currently running 1,225± cows plus bulls. The ranch holds two BLM grazing permits for 10,555 active animal unit months (AUMs) encompassing nearly 100,000 acres. The bulk of these AUMs are tied to two grazing allotments (McEwen and South Star Mountain). The balance of 1,620 active AUMs are controlled by a second permit covering portions of two allotments (Buck Mountain and Riverside). The season of use on BLM allotments is April 1st through October 31st. BLM allotments are largely managed out of the agency’s district office in Vale. There is also some coordination with BLM out of Burns. Located 30 miles southeast of Burns, the JMK Ranch is a quality commercial hay operation consisting of 2,230± acres, including 1,125± acres under 9 center pivots, and offering a full set of functional ranch improvements.